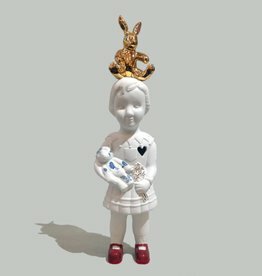 Porcelain doll with rabbit on her head. Hand made in Holland by Lammers en Lammers. 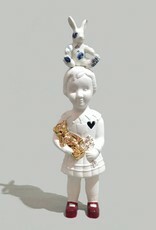 Matte porcelain with gold and Delft blue glazed details. H x W: 33 x 9 cm. 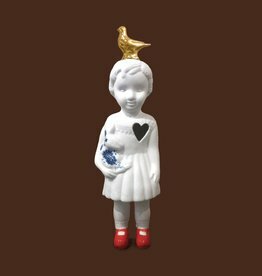 White ceramic doll with pigeon by Lammers and Lammers. 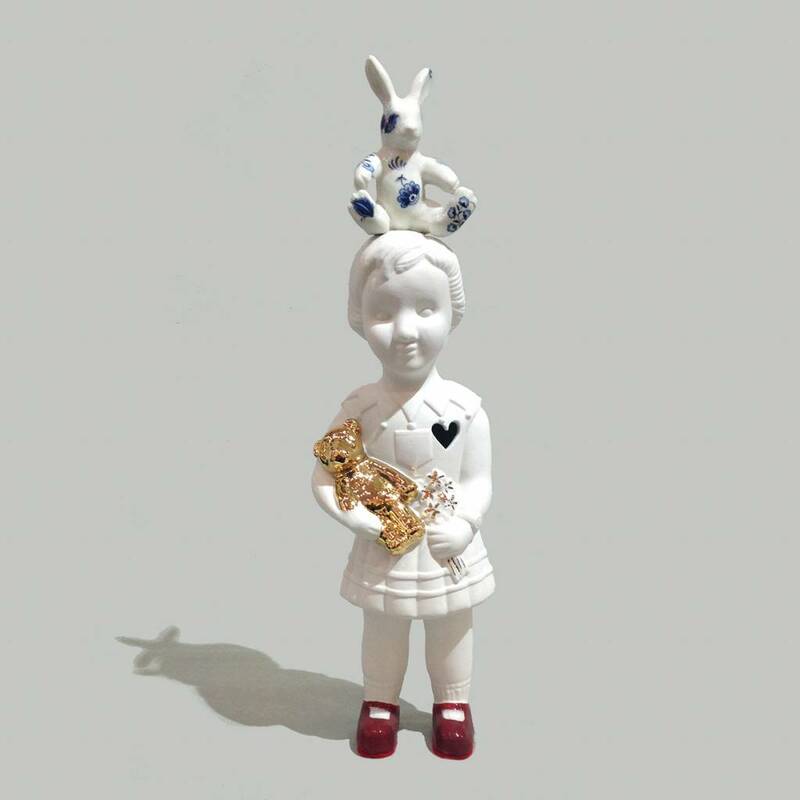 Shop more ceramic figures in our onlie store or visit our shop in Amsterdam. 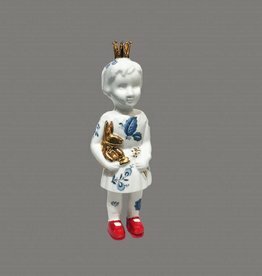 Dutch porcelain doll figurine. Hand made in Holland by Lammers en Lammers. Shop more Dutch gifts in our online store. 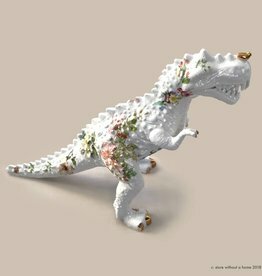 Porcelain T-rex dino figurine. Hand made by Lammers en Lammers from Haarlem, Holland. 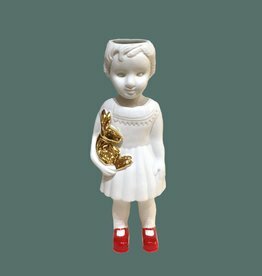 Shop our online store for more porcelain art. 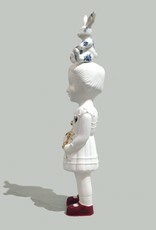 Porcelain doll with poodle by Lammers and Lammers. 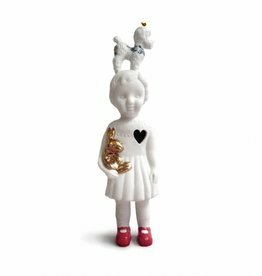 Shop more ceramic dolls and figures in our online store or visit our shop in Amsterdam. 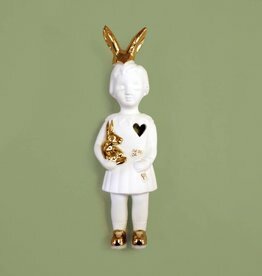 Ceramic doll with rabbit by Lammers en Lammers. Hand made in Holland. 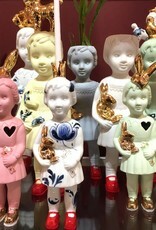 Shop online for more porcelain art and figures. We ship to Europe and US. 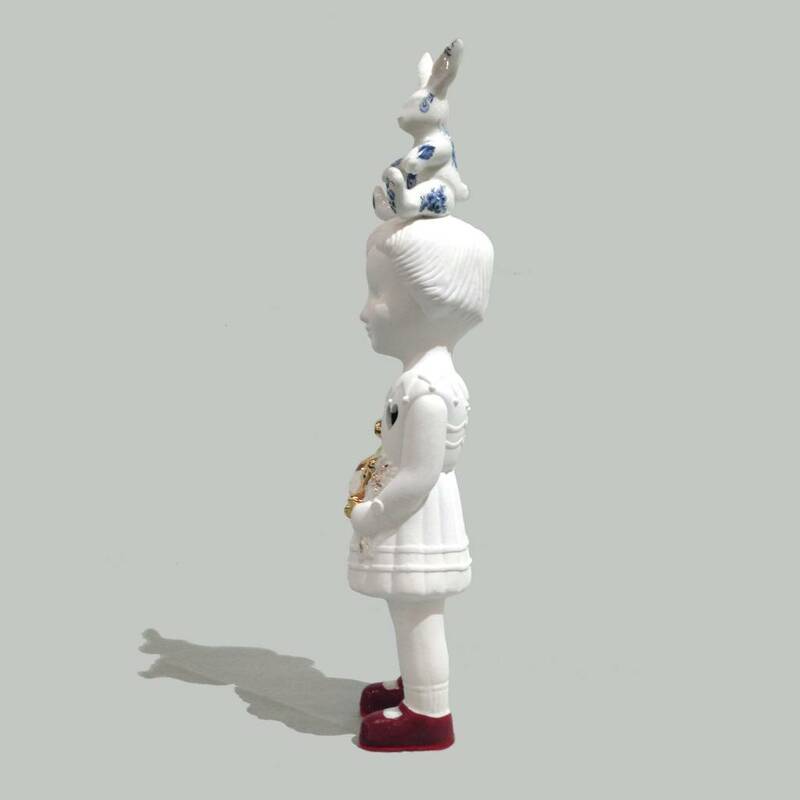 White mini doll by Lammers and Lammers. Hand made in Holland. 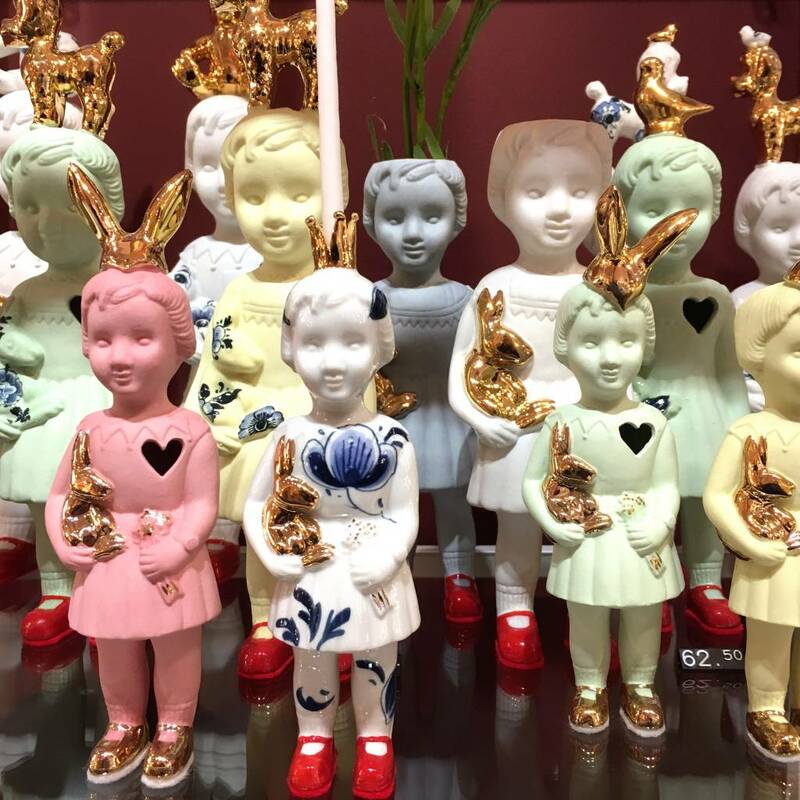 Shop online for more ceramic doll and figures or visit our home deco store in Amsterdam. 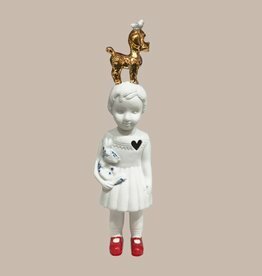 Matte white porcelain doll with golden poodle on her head. Hand made in Holland. We accept Visa, Mastercard or Paypal. White ceramic doll vase by Lammers and Lammers. Hand made in Holland. Shop for more decoration and gifts in our online store. Buy with card or Paypal.